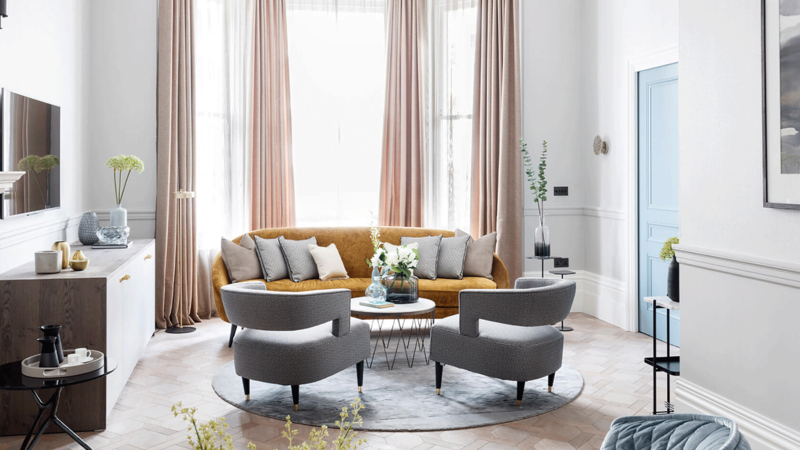 These 11 uniquely appointed apartments & single town house residence are located in the vibrant, cosmopolitan scene of London’s Royal Kensington. The interior demanded a treatment to reflect the location at the heart of the world’s cultural capital, a place of palaces and history, of artists and poets, of music and sciences. 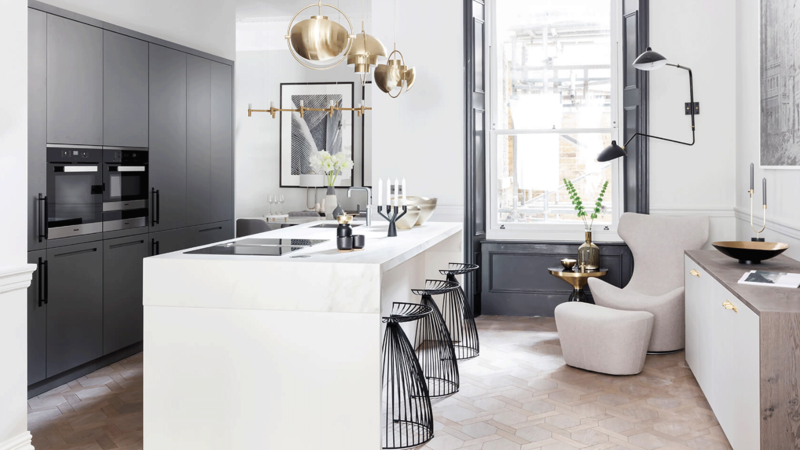 Many of the apartments benefit from restoration of the original period features. 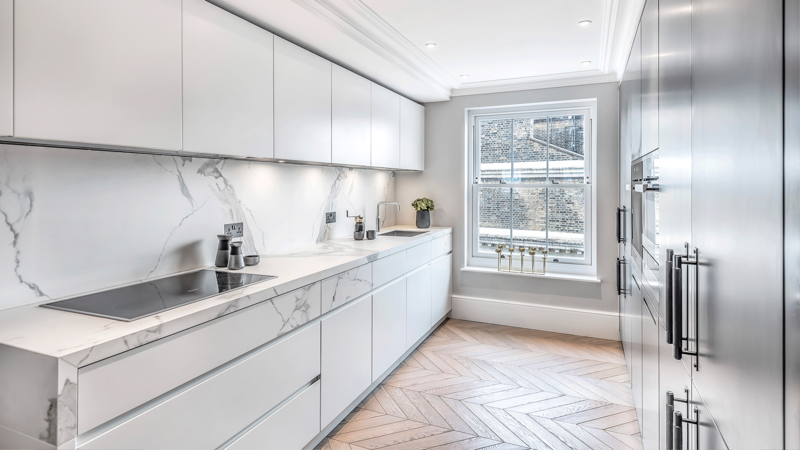 Exceptional ceiling heights, decorative cornices, original fireplaces & traditional sash windows have been preserved & reinstated throughout this beautiful building. 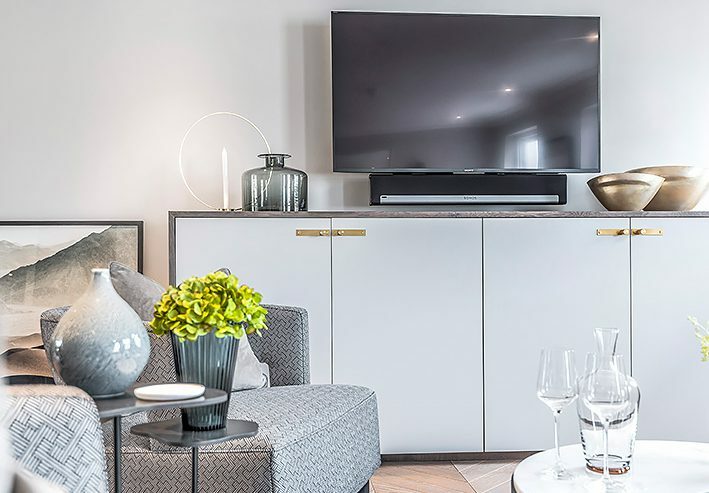 Classic and contemporary styles blend harmoniously throughout the interiors of the properties, thoughtfully designed by Henley Space, and whilst each property follows a similar scheme the treatment of each is unique. 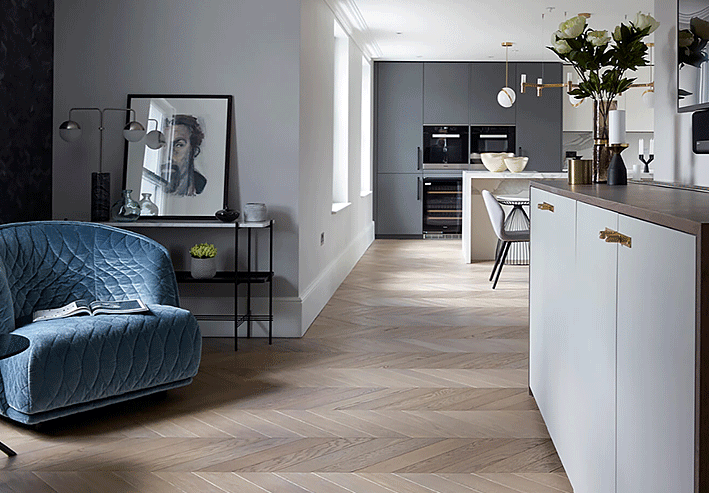 Each property, from the townhouse to the 1 & 2 bedroom apartments, is designed with an open plan layout. 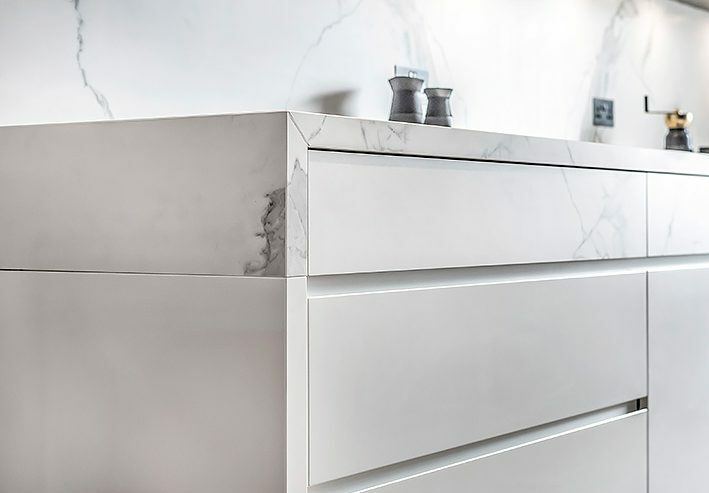 The kitchen surfaces are finished in ceramic in Carrara Marble design, striking and highly durable to suit everyday life. 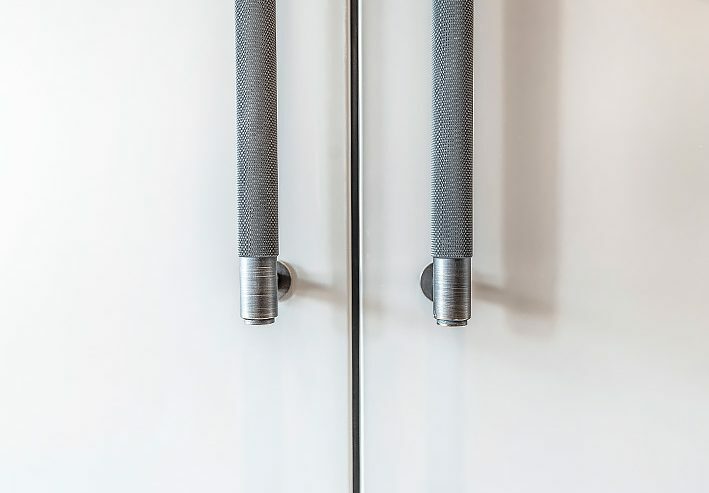 Buster + Punch fittings extend throughout each apartment, from the light switches to the kitchen and bedroom handles, tying each space together. 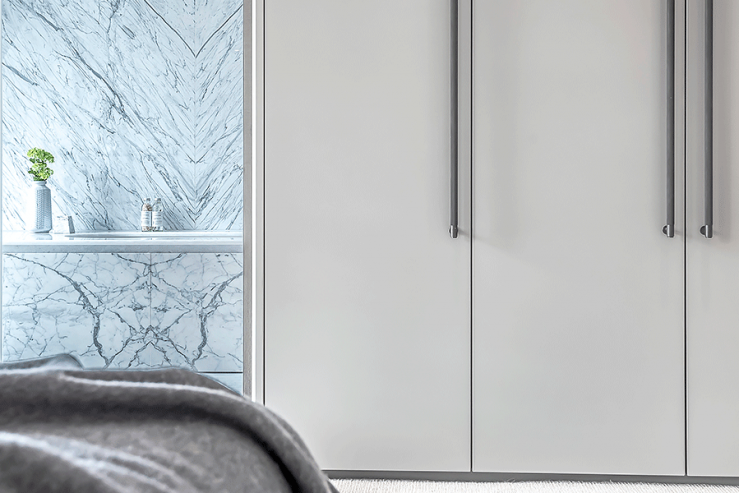 Fitted cabinetry is positioned cleverly to provide additional storage in the living areas, whilst also concealing compulsory ventilation equipment to meet regulations. 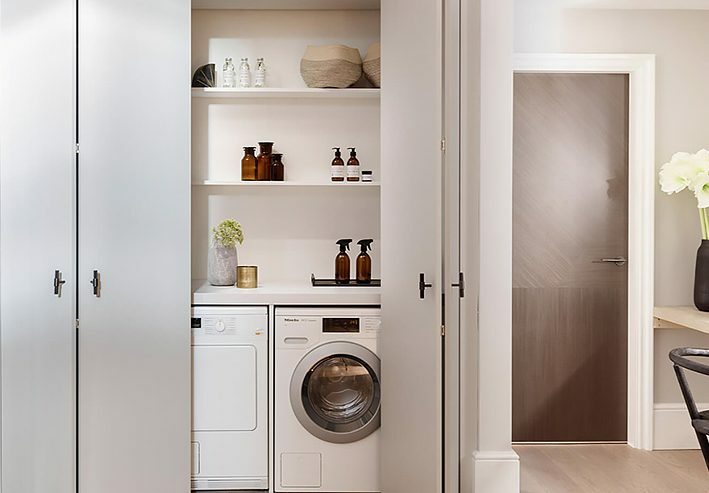 Hidden laundry areas can be found in each apartment concealed behind neutral doors finished with Buster + Punch handles. 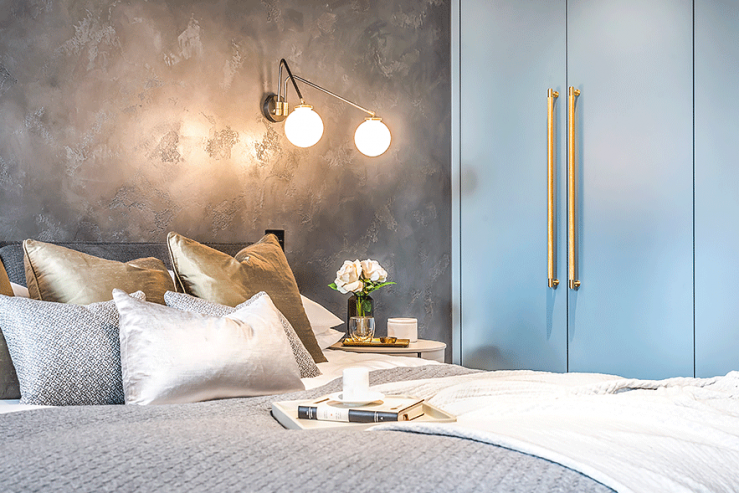 Lacquered blue cabinetry provides a pop of colour within a selection of the bedrooms, paired with complementary brass handles. For a contrasting neutral scheme, the master bedrooms feature dove grey cabinetry finished with iron bar handles. 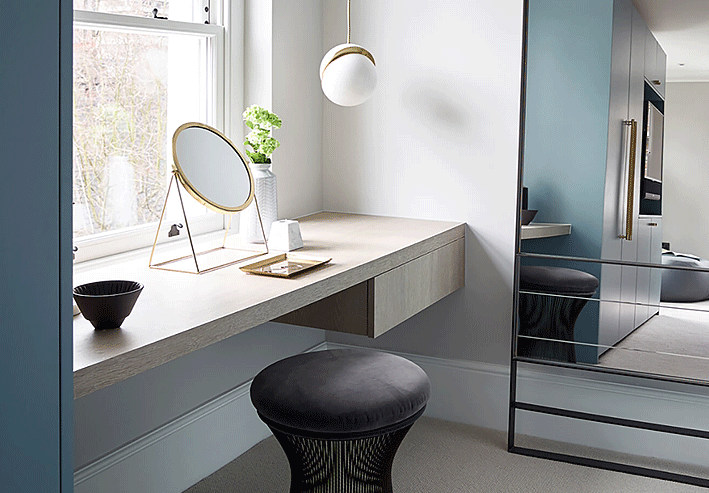 Awkward spaces are converted into dressing tables and desks, maximising all of the usable space within each apartment.